Fair warning: If you do not love the TV show Parks and Recreation as much as I do, then this post is not going to make much sense. Let’s start at the beginning. I know it’s a meme and whatever, but I truly believe Leslie Knope is my spirit animal. 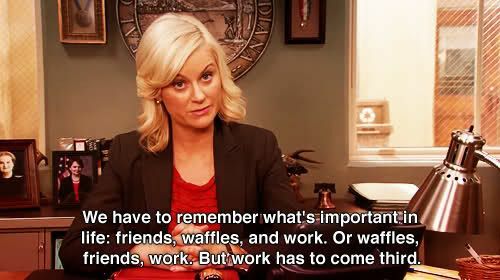 Like, sometimes I feel that I’m the museum education version of Leslie Knope. Like Leslie with parks, I absolutely love what I do and usually can’t comprehend why everyone in the world wouldn’t love museums and art history as much as I do. I love binders and organization and categorizing everything. I’m an unabashed feminist (thank you, nine years of all-girls education), more than a bit of a perfectionist, and definitely a talker and a share-er. 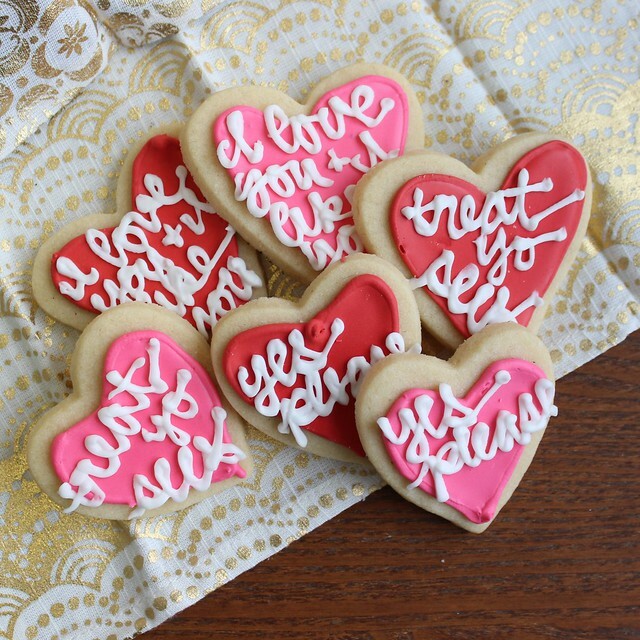 I also happen to think Galentine’s Day is the best idea EVER. 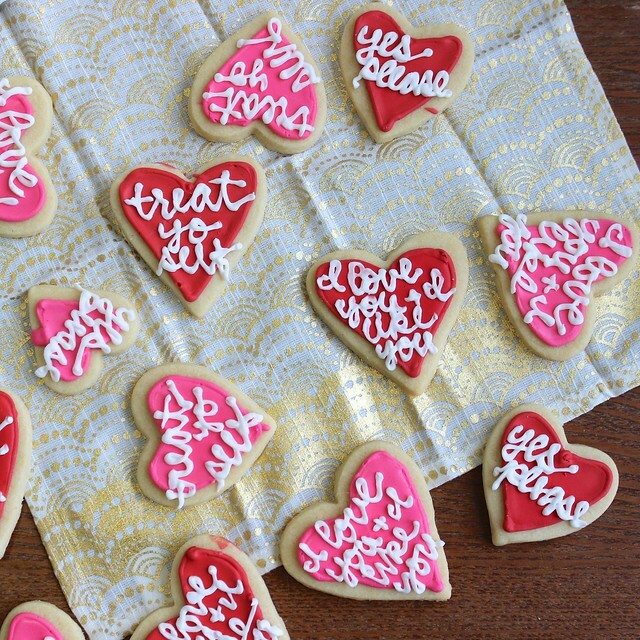 If you don’t know what Galentine’s Day is, here are some GIFs. 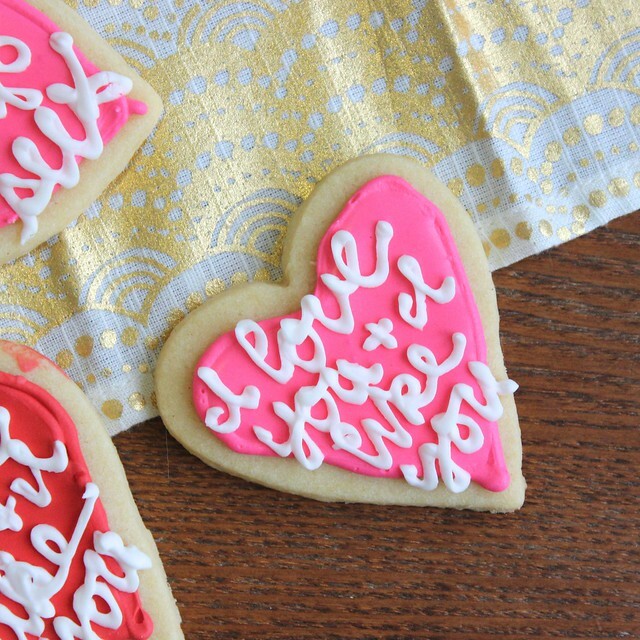 So, in honor of my love for Parks and Rec, Leslie Knope, and of course Amy Poehler, here are some Galentine’s Day cookies with three of my favorite quotes: Treat Yo Self, I love you and I like you (warning: link is a major spoiler), and Yes Please! 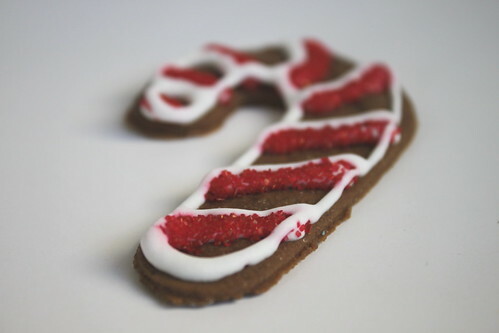 Oops, before I end this post I should probably talk about what these cookies taste like, huh? Well, in true Leslie Knope style, I’m not gonna be humble. 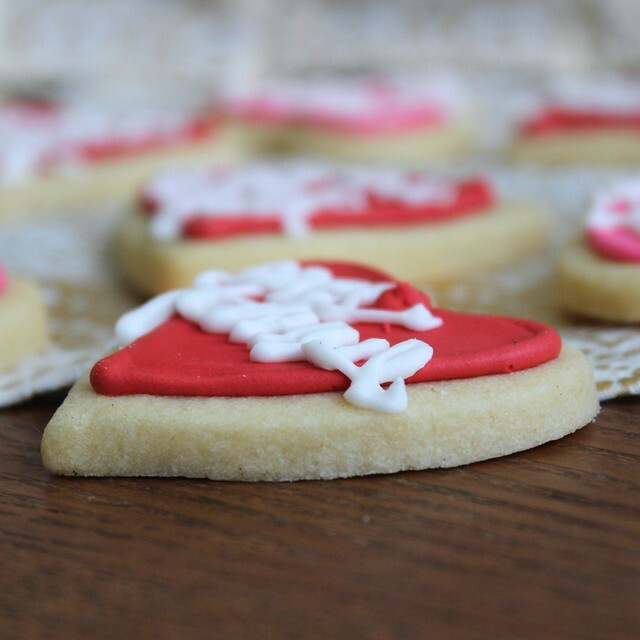 These are the ideal, perfect sugar cookies. They aren’t crispy but rather a little bit chewy, super buttery, and I added a little cinnamon for some spice. 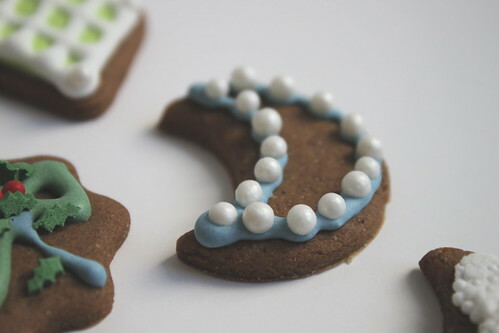 The royal icing is sweet and balances out the butter. These are absolutely one of the best recipes I’ve ever made. 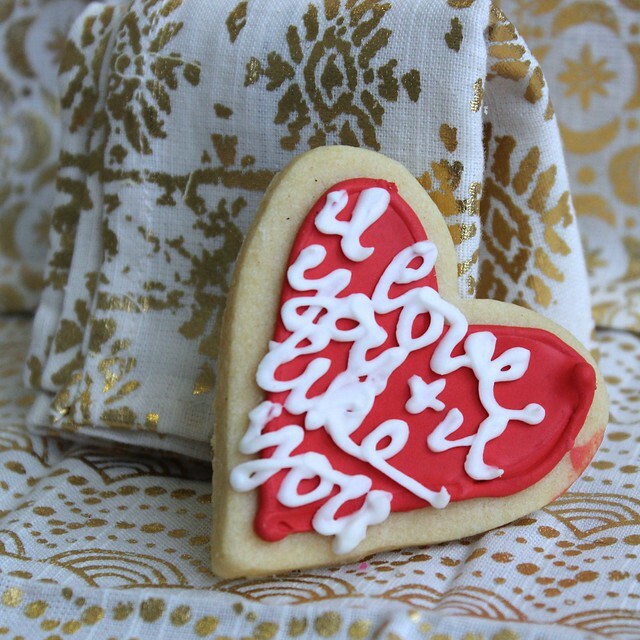 So: Happy Galentine’s Day to all of you! May your February be filled with waffles, friends, and work you’re passionate about, and lots of friends and family you love. Allow me to be non-nondenominational for just a few more posts, won’t you? 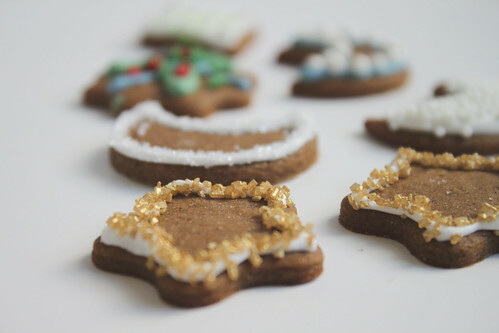 Everybody likes pretty gingerbread cookies, right? The answer is yes. Of course. 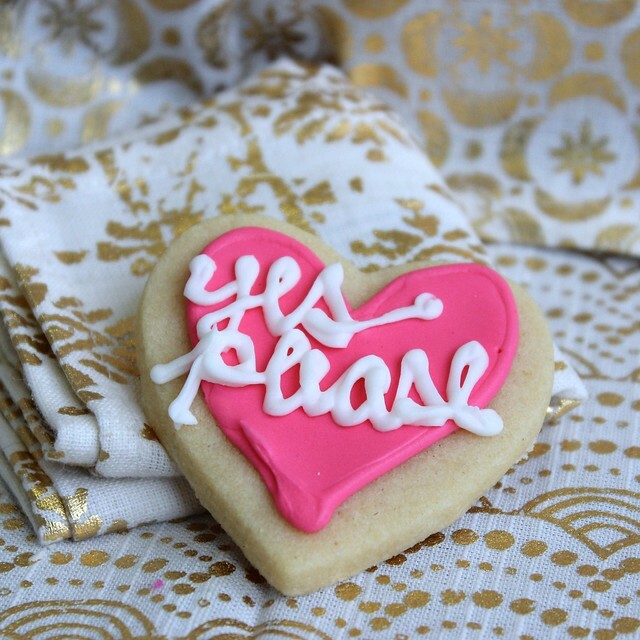 All the dough mixing, fussy rolling, cookie cutting, icing organizing… it’s all worth it when you pipe pretty pastel lines of sugar and dot them with delicate sprinkles and pearls. 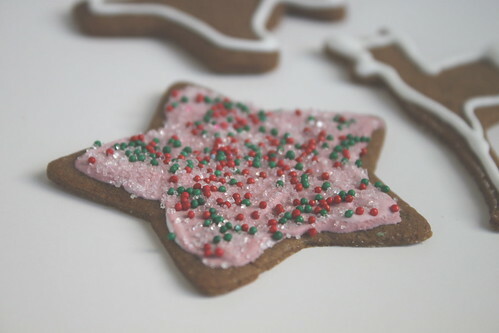 I highly recommend making one of your icings an untraditional Christmas color. My baking cohort (you’ll remember her from three separate cakes) made the prettiest mauve color which totally works with Christmas cookies. Trust. 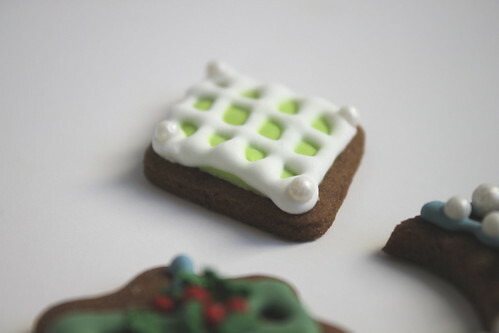 Go crazy and attack your flooded royal icing with toothpicks. It might not be symmetrical, but it will definitely be pretty. 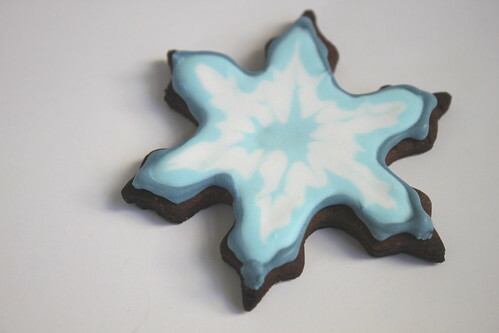 And would you like to see EVERY single cookie we made? (Okay, not every single one. 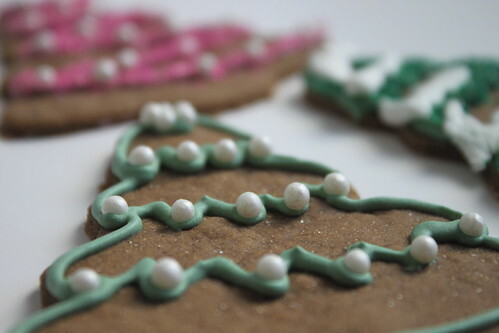 Just the ones deemed prettiest for food photography.) Good. GO!